Lagoon & Anaerobic Digester Systems - Plastic Fusion Fabricators, Inc.
We installed our first floating lagoon cover in 1991. Since that time, we have installed over seven million square feet of covers for more than 120 projects. Over the last 27 years, we have partnered with our customers to design, engineer, install, and test anaerobic digester systems using the best available methods and technologies. This includes biogas collection, biogas management, biogas venting, and biogas processing—along with a specialized ballast system—all fabricated, delivered, fused, and tested by the most experienced crews in the industry. Our experience puts Plastic Fusion in a unique position to continually innovate. We are always improving methods, materials, installation, and quality to set the industry standard for anaerobic digester covers. 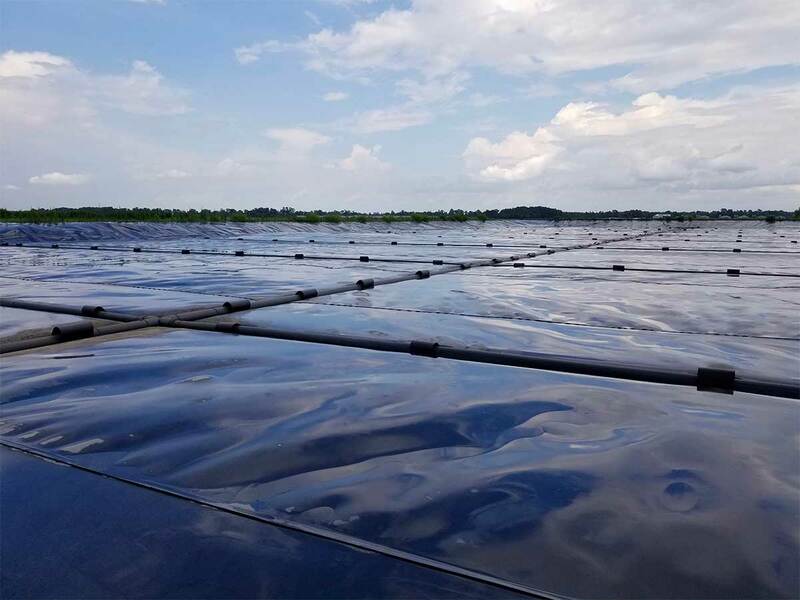 In addition to new covers, PFF also modifies existing, older covers with more effective vent systems, ballast pipe systems, and gas recovery systems. 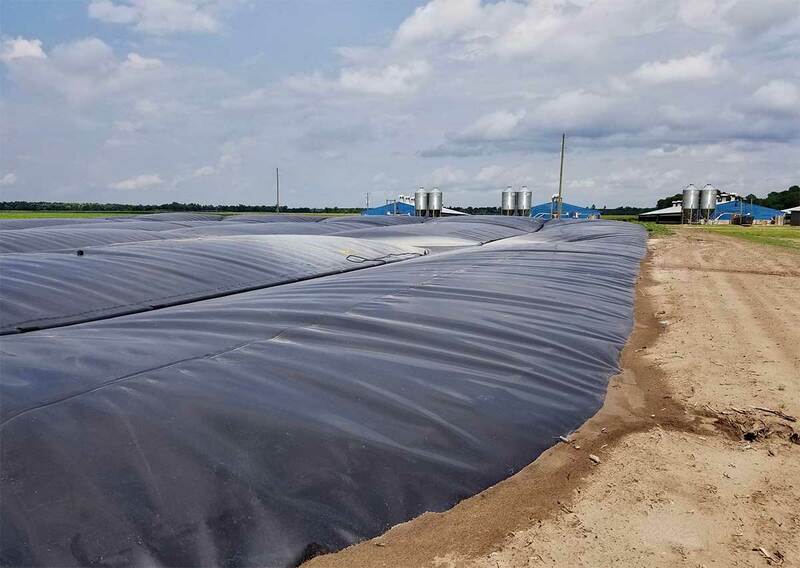 We repair existing covers damaged by storms, failed biogas recovery systems, and other events. We will assess the condition of the cover, make recommendations, and provide the crews, materials, and equipment necessary to repair the damage and get the system back in operation.